AirAsia has just launched free seats promotion today. Hurry go grab some tickets for your next year trips. Mom asked me to bring her to China, now looking for the tickets... bu the website is traffic jam now... Will be on June, finally I can bring them go along with me this time. 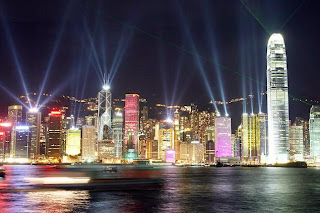 Will be celebrating New Year at Hong Kong. I have just booked my ticket with few of my friends. Still looking forward to more people joining us. We will be flying on 31 December, back on 6 Jan... who are interested to join, do let me know asap ya. This is the third time be going there, wondering why i like HK so much. Maybe because of the culture there, or the people there? All mandarin and cantonese speaking make me feel so comfortable. Cant wait to the trip now... huhuhu!! !